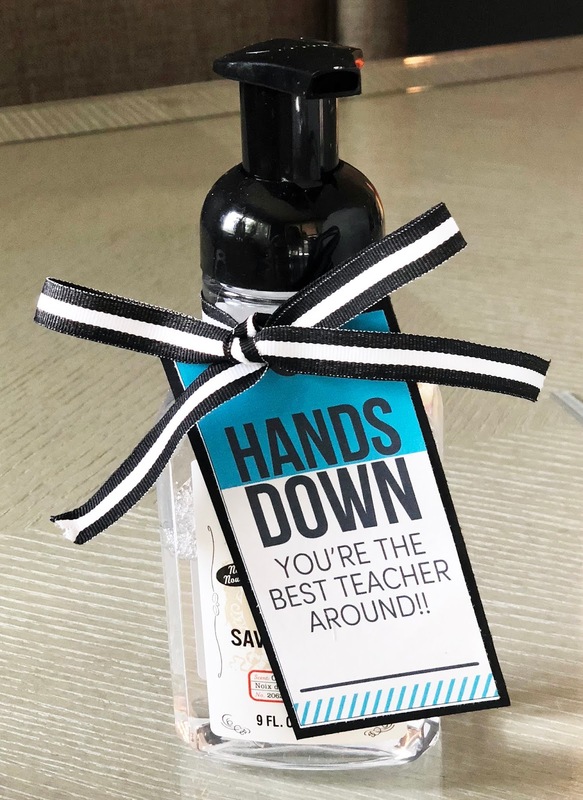 I like to give Teacher gifts at the end of the year. Most of the time, I like to give a gift card. 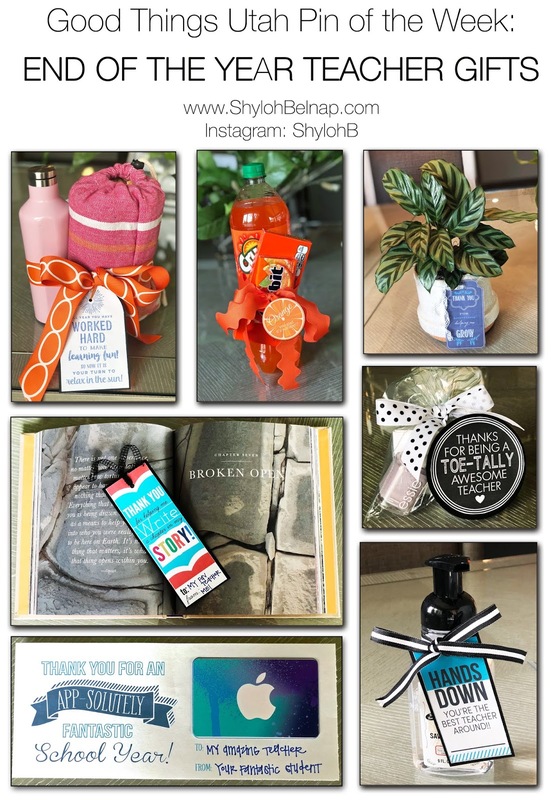 But, when I give gift cards, I like to add a little personal touch, and I think these ideas are a good inexpensive way to make your gift more personal without breaking the bank! 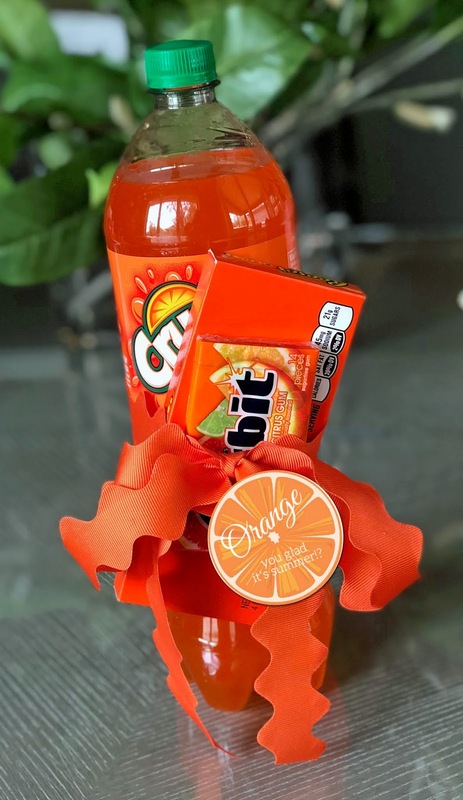 These are fun gifts to add with a gift card or to just give alone! Hand Soap and Lotion: You can download the print from the original pin that says “Hands Down, you’re the best teacher around” and just attach it to a hand soap and/or lotion! 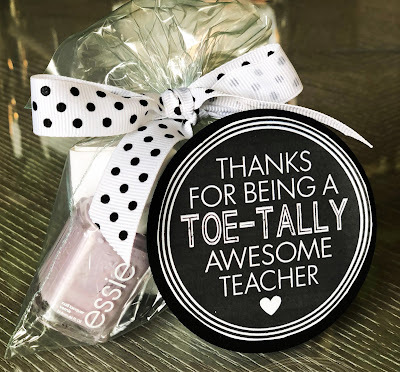 Nail Polish: “Thanks for being a toe-tally awesome teacher”. This would also be cute with a gift card to get your nails done! The tag can be downloaded here. “Orange you Glad it’s Summer: Fill up a fun little gift with all kinds of orange items. Plant: Plants are so cute and SO easy to take care of. 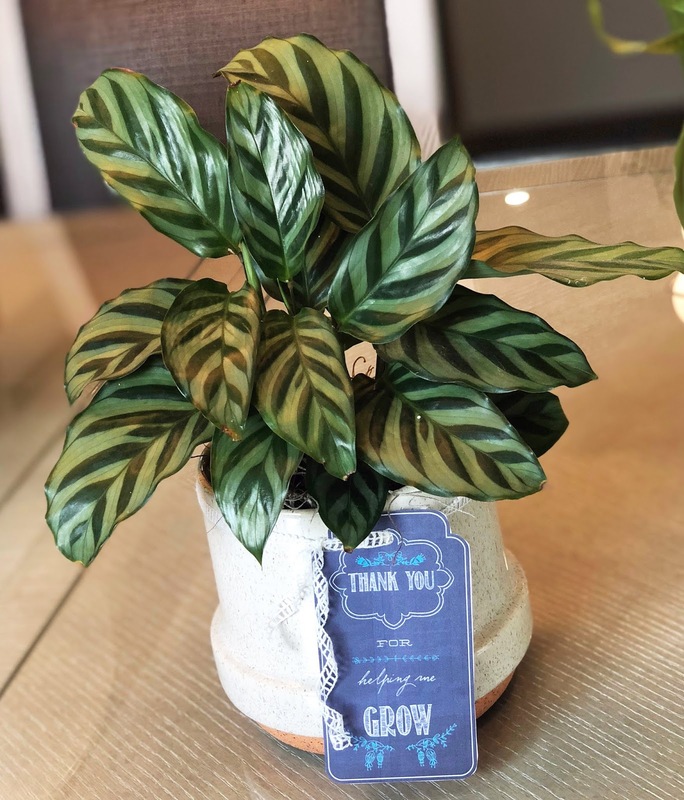 This cute tag saying “Thanks for helping me grow” is perfect with a fun house plant! iTunes gift card holder: This clever gift card holder says “Thanks for an app-solutely fantastic school year” and is PERFECT to add a personal touch to iTunes gift cards! You can download the holder here. 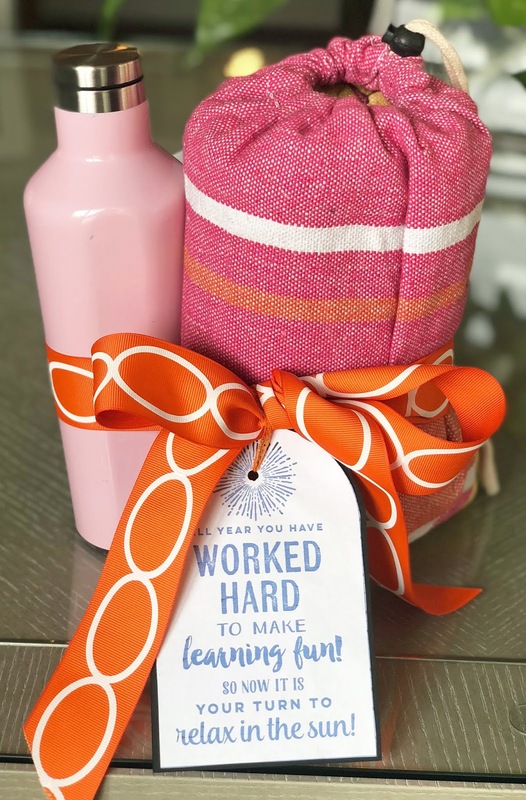 Summer gift tag: This gift tag reads “All year you have worked hard to make learning fun! So now it is your turn to relax in the sun!” It is a really cute tag to put on a summer hammock and fun cup! You can download the tag on the original pin. Favorite Book: You can give your favorite book, or have your kids select their favorite book to give their teacher. 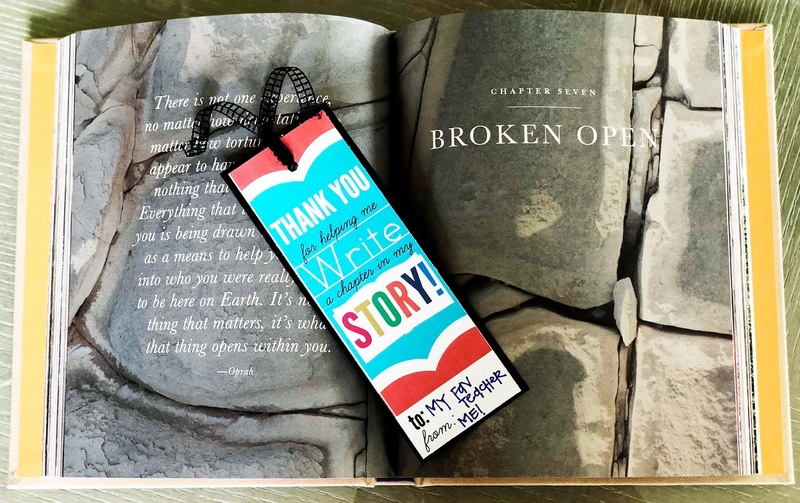 This bookmark is a fun way to personalize your gift. You can download it here. Hey Shyloh, can you tell me what the name of that plant is please? I love it and would like to get one. Thanks a bunch! !